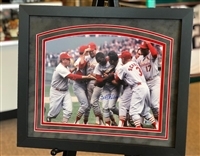 We have another Steven Walden print of Lou Brock "The Franchise" of the St Louis Cardinals. 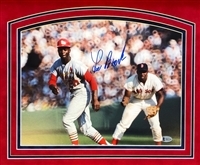 This 10x20" print is autographed by the artist and inscribed by Lou Brock. We triple matted this in beautiful suede colors to match the print perfectly. UV Glass. Overall size approximately 15x25". 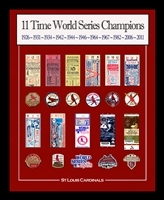 We have only a few available of this one of a kind autograph print.